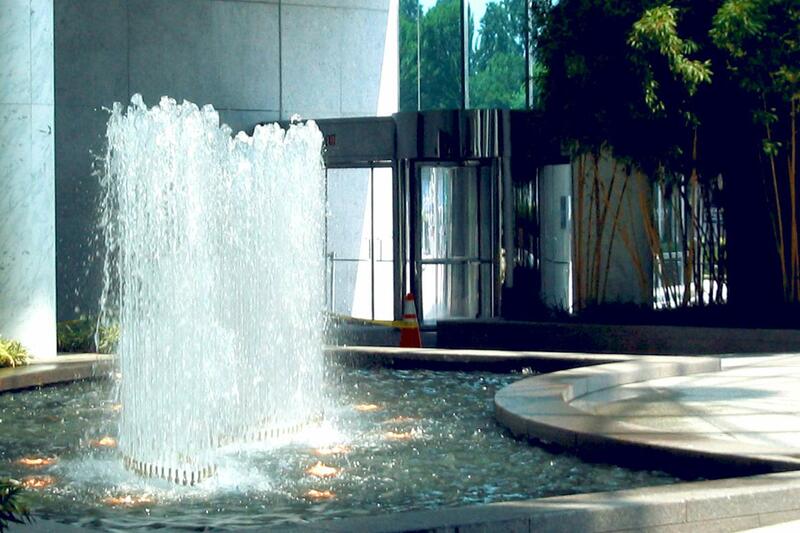 The curved entrance water feature sits just outside the building. 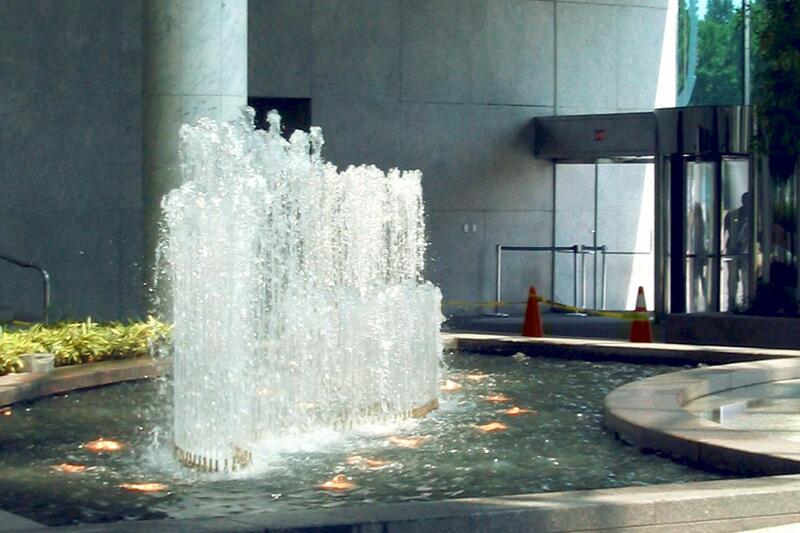 The fountain sits in a basin with submersible fountain lighting. 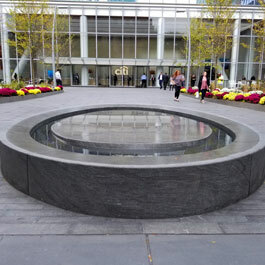 RXR Plaza in Uniondale, New York, formerly the EAB or Reckson Plaza, is part of a two-building complex with a joint atrium. 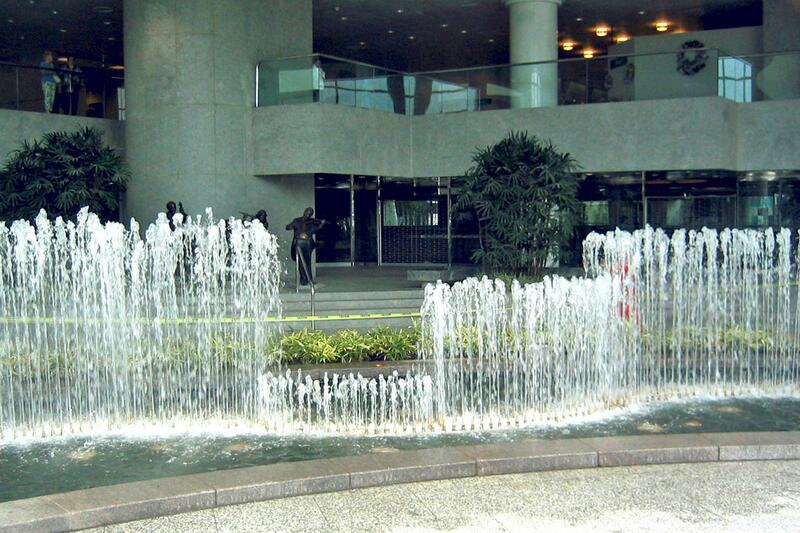 Outside, a fountain welcomes visitors to the two 15-story buildings. 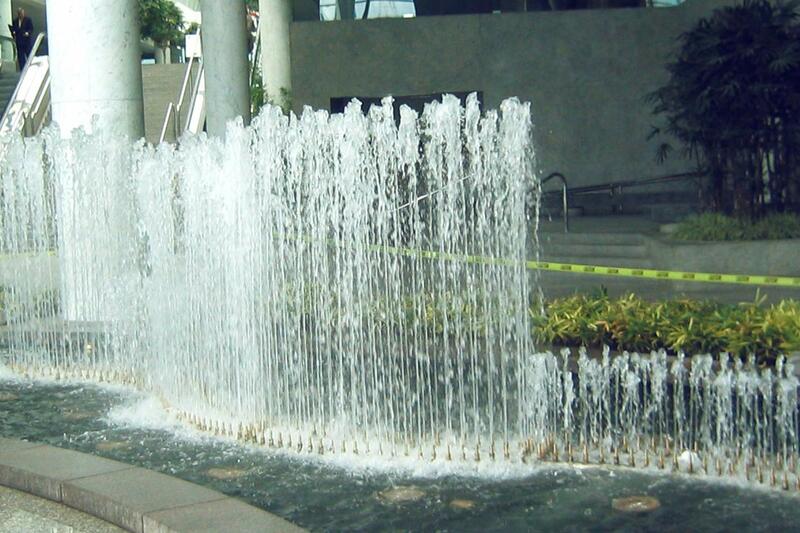 Inside, a water fall with a 60-foot plummet adds sound and movement to the atrium’s tropical garden environment. 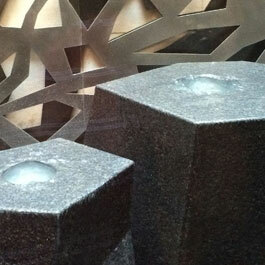 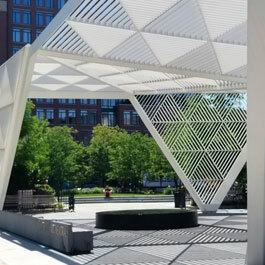 The Reckson Plaza fountain features five custom-fabricated stainless steel spray rings with bronze smooth bore nozzles. 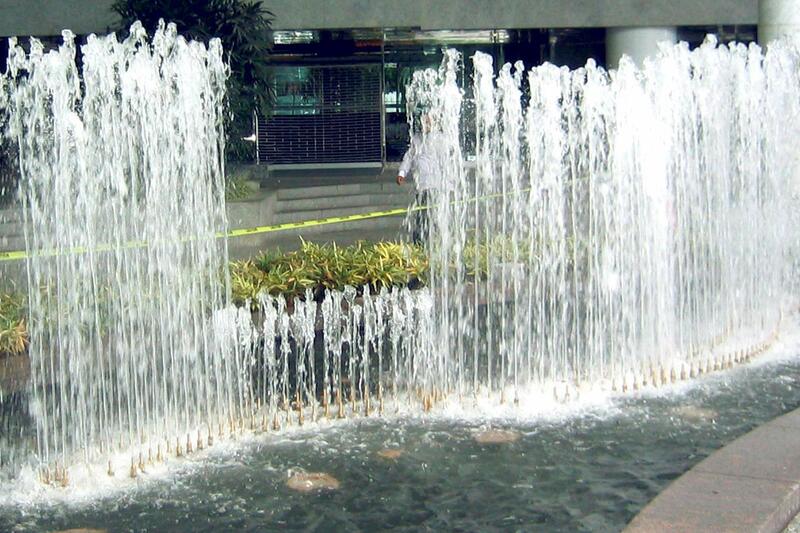 The feature allows for jets to be ramped and an infinite number of displays to be created. 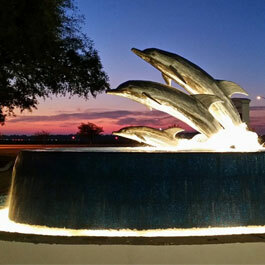 A total of 16 submersible fountain lights illuminate the fountain and the entrance to the plaza at night.